Imagine finding an ancient-looking coin on the beach. You may wonder whether it’s worth something, and if so, how to assess its value. You don’t know anyone with that kind of expertise, which makes you reluctant to trust the opinion of a random pawn shop owner. Luckily, you have your mobile phone with you. You can take a few pictures of your newly found treasure and send them to the blockchain-based ViValid system for a preliminary assessment and validation of potential value. You know that you can put a little bit more trust in the outcome of that process, not only because the system is community-driven, and thereby stripped of the potential ulterior motives of individuals, but also because amazing “Proof of Validation (PoV) Protocol” ensures the reliability of opinions. Your query comes with a small fee in the form of ViValid tokens, but you’re fine with that because you are certain that most of it is distributed among passionate experts or collectors who spend their time and expertise on the other side of the system. An arbitrary number of those who claim to possess knowledge in specific areas, — in this case, numismatics –, will be randomly, but intelligently, selected from the pool of ViValid community members. Each chosen member will deal with your query independently. Not only are they unaware of each other, but you don’t know them either. There is just one task to fulfill for which they’ll be compensated – the task which, according to them, fits their interests and knowledge. Consequently, it is not even considered a job, but a hobby, the hobby for which they’re getting paid. While waiting for the first response, you may start wondering how to become one of these validators who are doing what they love while earning some money. Well, you still have your phone, right? By using the very same app through which you sent the photos of the coin, you can register yourself as a First-Tier validator. Your expertise? It is enough that you have been collecting comic books for over 30 years, and know a thing or two about them, especially about vintage issues. By the way, there are five tiers of validation, and each subsequent one is more exclusive than the previous one. At the very first tier, practically everyone can be a validator, e.g., it is enough for you merely to possess some vintage comic books to become a validator at this level. PoV Protocol guards the quality of assessments in a way so that extreme opinions usually cancel each other out. However, to be promoted to the second and third tiers, you must be correct in assessing the worth of valuables. The higher you are on the ladder, the more you can earn and the less work you must do. The first three levels are all community-driven and anonymous, but there are two additional superexclusive levels for proven experts. More about that later, but for now, we will focus on how assessments are made. Back to your coin. According to First Tier Validation, currently consisting of seven opinions, you found a Persian coin worth between $80 and $200. At least according to five experts’ opinions. Another says it looks like something ancient and may be worth $5,000, while the seventh is certain that it’s worth only $2 and is probably fake. You can accept these opinions at face value or decide that you are on to something and narrow validations through the second tier, knowing that on this level, experts are even more reliable. Whatever you choose, you know that because the whole system is based on blockchain technology, all received opinions are stored in an immutable, independent, and trusted network. 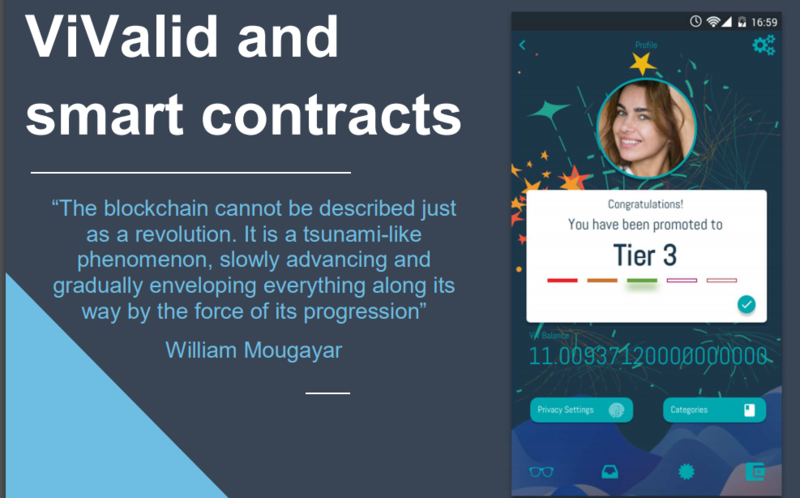 As a result, you are creating a history of valuation on your coin, efficiently building its value. If you decide to go all the way, up to the fifth tier, you would expect to get a massively accurate valuation, backed by top-notch experts, for a fraction of the usual cost for these sorts of things. And you accomplished all of this before you even left the beach. Even better, you can use gathered information in the form of certification to help you in negotiations, should you decide to sell the coin. Now imagine being at flea market, where you come across a bunch of old books you consider buying. Every item has its own story, and you can be a part of it. ViValid is a service based on blockchain technology designed to serve as a conduit between individuals seeking information about the potential value of items in hand from experts in corresponding fields. Additionally, the very nature of blockchain, namely how information is retained and spread within it, opens up an opportunity to create the first decentralized, immutable, and, therefore, trustworthy, community-driven ledger of collectibles that contains the history of their value and ownership changes. Whereas the former aspect of the system gives its users information about the market value of an item, the latter potentially increases it. 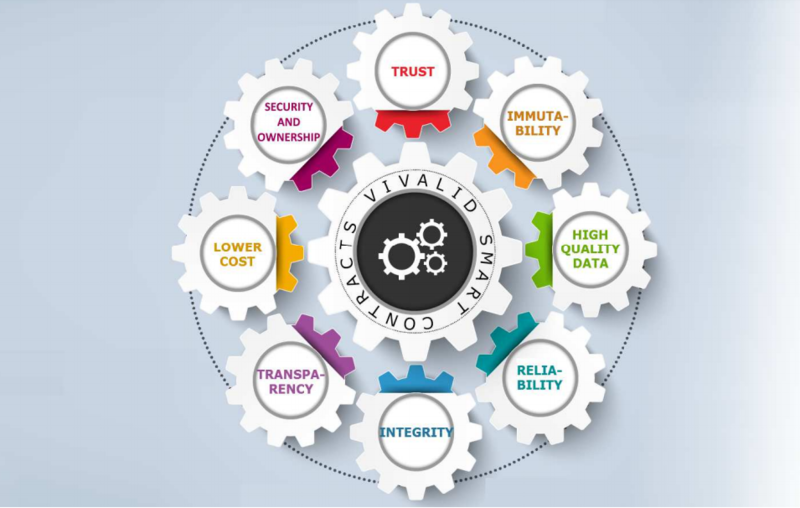 ViValid serves its purpose for both casual and professional users. Whether you’re trying to find out whether your old furniture in storage is worth anything, or you want to confirm that the movie prop in your collection is, in fact, what you expect it to be, ViValid provides you with a realistic and accurate answer. First, we trust, then verify. We recognize that the success or even usability of a proposed system must be based on trust and transparency. Potential factors such as ulterior motives, biases, or ignorance expressed by any party would nullify the validity of the service. Therefore, we developed the Proof of Validation (PoV) protocol, which ensures the best possible outcome by using the principles of the “wisdom of the crowds“, i.e., the statistics and miracles of blockchain technology. ViValid is a technology that allows large masses to interact democratically while remaining independent and decentralized. A solution like that is unique and provides an innovative approach. Do what you can to make life easier. Time is a precious commodity. Literally. The attention span shortens while the flood of information increases rapidly in this day and age. ViValid understands this and puts much effort into matching user experiences with the challenges of emerging technologies. For example, current solutions try to introduce a new economy based on utility tokens but are inevitably faced with the hurdle of money exchange. In most cases, otherwise valid and exciting solutions built on blockchain, require users to understand advanced issues from the outset. For example, the cryptocurrency market works by creating accounts on foreign exchanges, generating wallets, transferring money, purchasing tokens, and transferring them to the registered account within a service. All that knowledge is required before even deciding whether the solution solves the problem or not. ViValid shortens the path of entry by integrating a micro-exchange that automatically removes all the inconveniences of dealing with crypto. If you want to put an object up for valuation, just use your PayPal account or credit card, and we’ll do the rest for you. Of course, it is an optional function, and users maintain control to buy and use tokens in a traditional way. As a ViValid user, you may want to share your knowledge both for fun and for recognition. There is nothing wrong with that. Being compensated for a willingness to share your knowledge is completely justified. The ViValid service introduces a new form of mining to the cryptocurrency community — the mining of minds. Every single person has accumulated knowledge that may be in demand on the free market. The ViValid service introduces the opportunity to monetize gained knowledge. Whether assessing the value of collectible items is your full-time job, or you are a passionate amateur, ViValid pays for your expertise. More accurately, you assess the market value of the items in the system, and the higher the tier you work from, the higher your stake. You may hold the tokens as an investment or liquidate them straight away – either way, we’re here to help you. We believe that the usefulness and transparency of our solution will spawn credibility among the collector community, leading to the ViValid brand being commonly recognized as a guarantor of validity among collectibles. Alpha version of the mobile app Preliminary design of PoV protocol. Token sale. ViV live on exchanges. Early stage of development of PoV. Functional and technical architecture. Design of architecture with core components. Design roll-out strategy for service implementation. Recruitment for project needs. Team Expansion by hiring engineers and support team. Ongoing development and design of IOS, Android and web application (Alpha). Proof of Validation Protocol – first stage of development. Proof of Validation Protocol – second stage of development. Ongoing development and design of IOS, Android and web application (Beta). 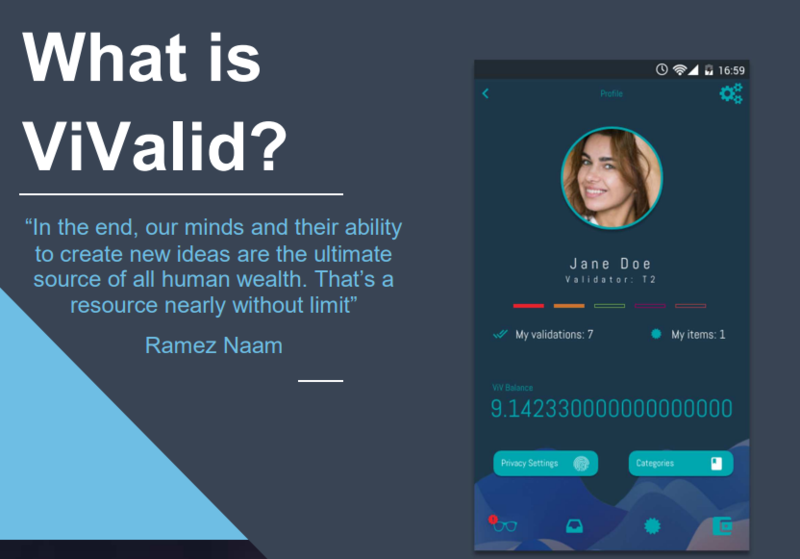 Proof of Validation Protocol – final stage of development. Ongoing development and design of IOS, Android and web application (Beta released to the public). Marketing strategy. Community engagement and workshops. Official release of the service.